ESSENDON midfielders Nick O'Brien and Will Hams have been delisted as the club finalises its list ahead of the NAB AFL Draft. 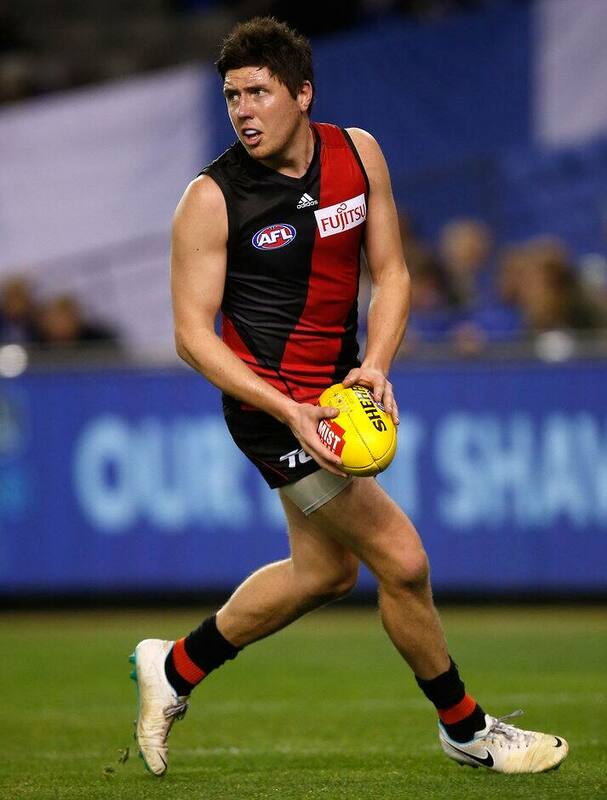 O'Brien, 22, played nine matches this year to take his total to 14 across his four years at the Bombers since being taken with pick No.59 in the 2011 draft. Hams recorded five games in three seasons on the senior list, but is likely to be rookie-listed by the club on November 27. The changes mean there have been 13 players cut from Essendon's 2015 squad as the Bombers look to refresh their list under new coach John Worsfold. O'Brien showed towards the end of the season his ball-winning ability in the midfield, including a 32-disposal game against Port Adelaide in round 10. His lack of speed worked against him on occasion, however, and was one of the key reasons he was unable to break into the Bombers' senior team consistently. Hams was selected in the pre-season draft at the end of 2012, and made his debut in 2013. The small but hard-at-it midfielder missed all of the 2014 season with a groin injury, but returned to feature in three senior games this season. Essendon confirmed AFL.com.au's report on Thursday the club had re-signed key defender Tayte Pears to a new one-year deal. The Bombers will go to the November 24 national draft with a strong hand of picks, with four selections inside the opening 25 picks.